The water spout located on top of the machine is able to rotate 360 degrees. The hose is made of a flexible ribbed chrome-plated metal which offers years of trouble free use. Note: As the water flows through the filters, water pressure is lowered which also lowers the output L/min. 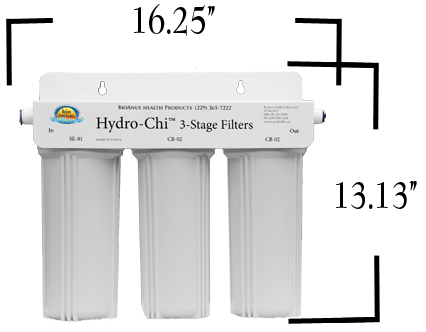 There is no need to do complicated mathematical computation to determine when to change the filters, however, because the Hydro-Chi has a built in computer that will do the math and display the answer on the screen. All you need to do is hook it up to drinkable water and then adjust the valve (included) up or down as needed. When setting up the machine: Ideal water flow should be between 1.5-2.0 L/min. This will allow the filters to remove the maximum amount of contaminates found in the water source. 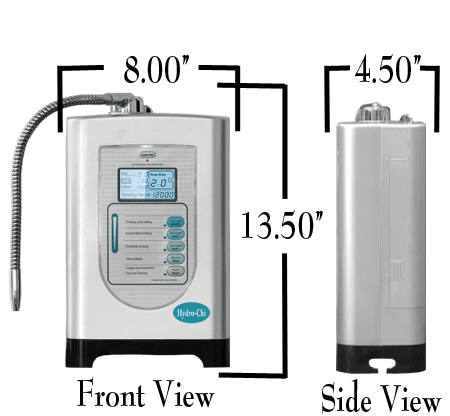 The flow rate will be indicated on the display of the Hydro-Chi, making the adjustment very easy. 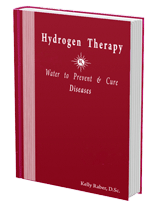 The Hydro-Chi is designed to make Electrolyzed Reduced Water rich in hydrogen. This process splits water into its two components: elemental oxygen and elemental hydrogen. Two electrodes are connected to the positive and negative poles of a voltage source and water is added via the source hose. Bubbles appears when the electric current flows through the water. Hydrogen accumulates at the cathode; Oxygen accumulates at the anode. The Frame of the 3-Stage Filters is constructed of heavy duty metal. Two mounting holes in the frame to allow easy installation under the sink. The filter canisters are constructed of food grade HDPE plastic. This plastic is the most stable type of plastic, allowing for trouble-free ease of use. A filter wrench is included with each Hydro-Chi unit. The sediment filter removes suspended matter such as sand, silt, loose scale, clay, or organic materials from the water source. Sediment filters are needed, not because sediment is particularly dangerous or unhealthy, but because sediment can damage the Hydro-Chi by adding unneeded debris and organic waste by-products that need to be removed. Activated carbon filtration can effectively reduce chemicals including solvents, pesticides, and industrial waste by-products. Undesired chemicals in drinking water can pose health risks if they are present in quantities above EPA health advisory levels. • The water flow rate remains below .8L- this indicates that the filters are clogged with sediment and/or other contaminates. • The water flow remains below .5L and the warning and beeping cannot be corrected by adjusting the ball valve. A. The faucet handle is the On and Off switch to the Hydro-Chi. Turn the handle counterclockwise which turns the water on and turns the Hydro-Chi on. The acid, waste water spout is able to turn 360 degrees, making it easy to install even in the tightest kitchens. The Chi Faucet is mounted to your (kitchen) sink either by using an existing fixture hole or by cutting out a new fixture hole on the back lip of the sink. Most people install the 3-Stage filters underneath the sink then connect the water line via a "T" connection to the filters (included). 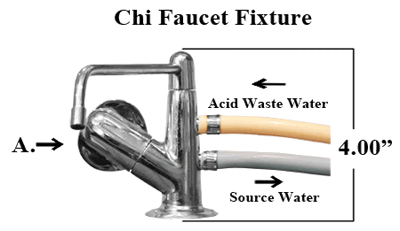 The source water hose is connected from the filters directly to the Chi Faucet Fixture. Hoses and fitting are included. It is easy to operate the Hydro-Chi. Simply turn the faucet handle one way to turn it on and the opposite way to it off. There are no complex buttons or sequences to figure out. The Hydro-Chi is also self cleaning which allows for years of trouble-free use. The Hydro-Chi comes with all the necessary hoses, clamps, fittings and accessories needed to permanently install the unit into your home. Read the Hydro-Chi User's Manual to see all of the accessories that comes standard with your Hydro-Chi. 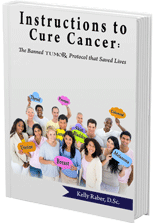 Instructions to Cure Cancer: The Banned TumorX Protocol that Saved Lives. 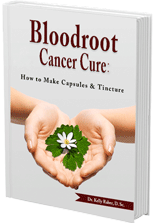 Do you have a FDA BANNED book that cures diseases? BioAnue Health Products, LLC does not add handling charges or other hidden fees to the cost of shipping. 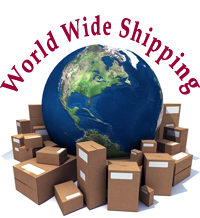 Ground shipping is free for orders of $49.95 or more in the Continental United States. Orders are shipped next business day, Monday through Friday, to national and international customers. We close for US Federal holidays. Products are not intended to treat, prevent, mitigate or cure any medical or psychological condition, or to support or sustain human life, or to prevent impairment of human health. Copyrighted 2018 End of Page.